The Orion Talent team is pleased to announce the launch of our new blog, Orion Insights. We are proud to have been your trusted source for post-military career planning and transition advice since the debut of From the Battlefield to the Boardroom in September 2009. We look forward to continuing to serve you from our new location on the Orion Talent website. We welcome and appreciate any feedback you may have on improving our blog content and format. If there is a certain topic you would like to see address on the blog, please contact me at ederoy@oriontalent.com. 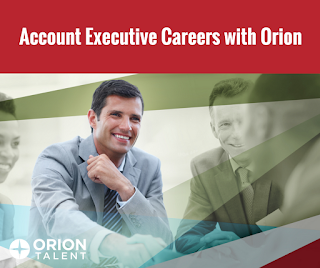 As Orion Talent continues to grow, our office in Raleigh is looking to hire Candidate Recruiters to join our team. A career as a Candidate Recruiter is your opportunity to assist fellow Veterans while gaining invaluable Sales and Marketing experience in a high-paced environment. You will work with transitioning military professionals and aid them in their transition from Active Duty into Corporate America. Listen to this week's podcast from Orion’s Southeast Recruiting Manager on what it takes to be an Orion Recruiter. If you're looking to join a team of Veterans helping other Veterans, apply today! With the arrival of November, your thoughts may be heading to the holiday season and you may be planning to wind down your career search for the year. It's a common myth that job searching between Thanksgiving and the beginning of the New Year is not worth your time. But, according to this article on Balance.com, if you "buy into this myth about holiday job searching, you are losing one of the better job searching seasons of the year." Author Susan M. Heathfield explains that the holidays bring reduced job seeker competition and easier access to decision makers. - Hiring managers are looking to spend their budgets before the end of year, and hiring you may just be the way to do that. - Those same hiring managers are busy at the end of year coming up with goals for the New Year, and you may be just the person to help them accomplish those goals. - Many organizations hire in December for openings that will begin in January. Heathfield advises that job seekers should continue their search despite the date on the calendar. They should schedule time to work on their job search, be in touch with their recruiter, and work on interviewing skills just like they would any other time of year. Job seekers should also continue to check online job boards, company websites, and social media for new jobs. Orion’s job board is constantly being updated with positions available all over the nation. Networking, even during the holidays, continues to be important, as well. Finally, job seekers might consider sending holiday cards as thank-you notes to managers with whom they have recently interviewed. The holidays are one of the better job searching seasons of the year. And sitting complacently by from November to January does nothing but hinder your job search. So remember, just because holiday season will soon be here, doesn’t mean your job search should not be in high gear. Click here to read Heathfield's article. Hiring Conference is the best opportunity to interview with several companies committed to the hiring process in just a few days. Orion hosts about 75 conferences a year nationwide, placing thousands of veterans yearly. Most of our job seekers find their civilian career with companies they have interviewed with at Hiring Conferences. Watch this brief video featuring Mike Wooster, a Senior Partner here at Orion Talent, to learn more. Enjoy! Register with us today to get in contact with an Orion Recruiter! As Orion Talent continues to grow, our Austin, Cincinnati, San Diego, and, Raleigh, and Virginia Beach offices are currently hiring Account Executives to join our team. Account Executives are responsible for discovering and securing job opportunities for our veteran job seekers. Account Executives create and maintain relationships with America's leading companies to provide a pipeline of military talent that only Orion can offer. As an Account Executive you will grow and manage a portfolio of client accounts through development of your lead list, business development calls, and client visits. Once a job offer is received, it is the Account Executive who discusses the specific opportunity with the selected candidates, provides interview guidance and preparation for the candidate and arranges the interview process. Throughout the final phases of the hiring process you will work with both the client and candidate to provide superior customer service and consultation to each. If you are prior military and motivated, energetic, and interested in sales, a career as an Account Executive may be for you! 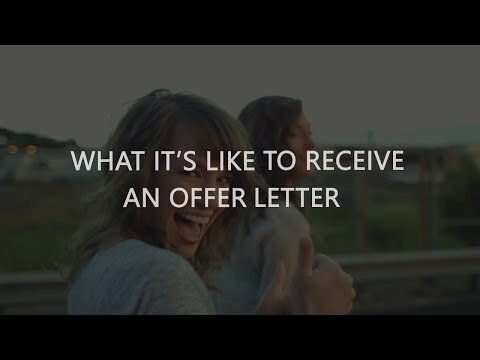 Interested in being considered? You are invited to listen to a recorded presentation (Username: iprep / Password: video) where we will give an overview of the Account Executive position. The brief will cover the requirements of the job, the compensation and earning potential and the career opportunities at Orion. 2. Why are you interested in a sales role? And why are you interested in the Account Executive role specifically? You can also email careers@oriontalent.com to express interest in an AE position. Please send your resume and let us know in which location you are interested. If you're looking to join a team for fellow veterans helping other veterans, apply today! For this spotlight, we spoke with Kerry Miller, a Recruiting Team Leader in our Cincinnati office. Kerry Miller served in the US Navy for 14 years. Kerry started as an Administrative Assistant in the Virginia Beach office nearly 6 years ago. She has been promoted multiple times to her current position as the Recruiting Team Leader in our Cincinnati office. What is most rewarding about your job - what makes it all worthwhile? Finding and assisting Active Duty service members that are approaching their transition and may be planning to take a lower paying job to hold them over before they contact Orion Talent. I am able to match them with higher paying jobs that meet more of their requirements. Giving them jobs with financial stability where they are able to support their family. What advice do you have for prospective Orion candidates? The best advice I can give candidates is to interview for everything that is offered or that comes your way. There is no harm in interviewing for jobs. I remember a sharp candidate I was working with that told me he didn't want to interview with a certain company. I knew he would be a perfect fit. He ended up interviewing and accepted the position with a salary over $70k. What is on your wish list for the next 10 years with Orion? Orion Talent as a whole works together to reach as many candidates as possible. In 10 years, I want every military service member coming out to know of Orion Talent. What has been your proudest moment at Orion? I received an email from a colleague concerning an opening they had with a Chicago based company. This was a unique job in a special niche, and I had zero doubt that I knew the perfect candidate. I called the candidate and discussed it with him. He applied, and within 2 weeks, had been offered, and accepted the role. It was a perfect fit! When things just fall perfectly into place like that, that is when I really appreciate how rewarding the job is. Where is the best place you’ve traveled and why? In my time in the Navy, I was able to spend a few years in Rota, Spain. There was always something to do, but the people and the food were the best part! Tell us something that might surprise us about you? I have a daughter who is currently a sophomore at Washington State University. She is majoring in Communications and wants to be a Recruiter. What was your first job? At age 14, I started working on a corn farm, picking corn by hand. I would walk down the corn aisles and pull the top of the corn off. I would get on the bus at 3 am and got dropped off at 5 pm every afternoon. Almost every child in my town did this during our summer breaks! Transitioning from the military to a civilian career brings changes to almost all aspects of life. One important thing changing will be your benefits. 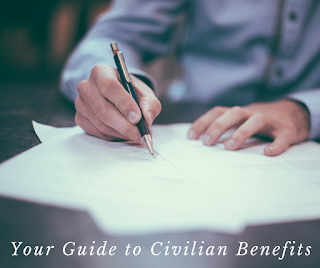 Below we explain some of the most common retirement, relocation, and bonus benefits you can expect in a civilian career. Read on so you can prepare. A 401(k) is the most common type of retirement savings program offered by companies, and has all but replaced the traditional pension plan. A 401(k) is an employer-sponsored retirement plan that allows a worker to save for retirement while deferring income tax on the saved money and earnings until withdrawal. The employee elects to have a portion of his or her wages paid directly, or "deferred", into his or her 401(k) account. In participant-directed plans (the most common option), the employee can select from a number of investment options, usually an assortment of mutual funds that emphasize stocks, bonds, money market investments, or some mix of the above. There are maximum contribution limits. For 2017, the maximum contribution to a 401(k) is limited to $18,000 for individuals under the age of 50. Some companies will match a percentage of your contributions to your 401(k) program. A common employer matching formula is 50% of 401(k) employee contributions, up to a certain contribution limit (typically a maximum of 6%). This can be a powerful wealth builder and a valuable piece of an overall compensation package. Bonuses can significantly increase the value of your overall compensation package. There are a variety of bonuses/incentives companies can offer, including a Signing Bonus, Performance Bonus, Tuition Reimbursement, Car Allowance. You may receive one or more of these bonuses depending on how your individual compensation package is structured. Bonuses are typically taxed at a higher rate than your normal wages. There are three primary stock option plans that companies may offer as part of an overall compensation package: Employee Stock Option Plans, Employee Stock Ownership Plans (ESOPs), and Employee Stock Purchase Plans (ESPPs). Each is different and offers unique advantages. All three can add significantly to the overall value of an offer. These plans allow an employee to purchase a specific number of company shares during a specified period of time at a fixed price. For example, if an employee gets an option on 100 shares at $10 and the stock price goes up to $20, the employee can "exercise" the option and buy those 100 shares at $10 each, sell them on the market for $20 each, and pocket the difference. But if the stock price never rises above the option price, the employee will simply not exercise the option. An ESOP is a type of tax-qualified employee benefit plan in which most or all of the assets are invested in stock of the employer. Like profit sharing and 401(k) plans, an ESOP generally must include at least all full-time employees meeting certain age and service requirements. Employees do not actually buy shares in an ESOP. Instead, the company contributes its own shares to the plan, contributes cash to buy its own stock (often from an existing owner), or, most commonly, has the plan borrow money to buy stock, with the company repaying the loan. All of these uses have significant tax benefits for the company, the employees, and the sellers. 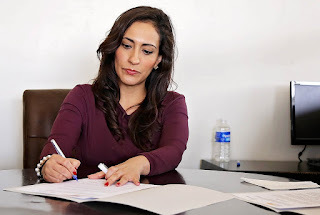 Employees gradually vest in their accounts and receive their benefits when they leave the company (although there may be distributions prior to that). An ESPP is similar to a stock option plan. It gives employees the chance to buy stock, usually through payroll deductions over a 3-to-27-month "offering period." The price is usually discounted up to 15% from the market price. Frequently, employees can choose to buy stock at a discount from the lower of the price either at the beginning or the end of the ESPP offering period, which can increase the discount still further. As with a stock option, after acquiring the stock the employee can sell it for a quick profit or hold onto it. Unlike stock options, the discounted price built into most ESPPs means that employees can profit even if the stock price has gone down since the grant date. This list is not all-inclusive, but it is intended to highlight the most common benefit options provided by employers today. Learn about other benefits such as Vacation, Holidays, Time Off, Health Insurance, and Disability Coverage here.